Micah Westblade submitted this photo and caption. My name is Micah Westblade, and I marched as a member of the Troopers from 2003-2005. I recently went to Australia to visit Kassie Forro who I met in 2007 volunteering with the corps. 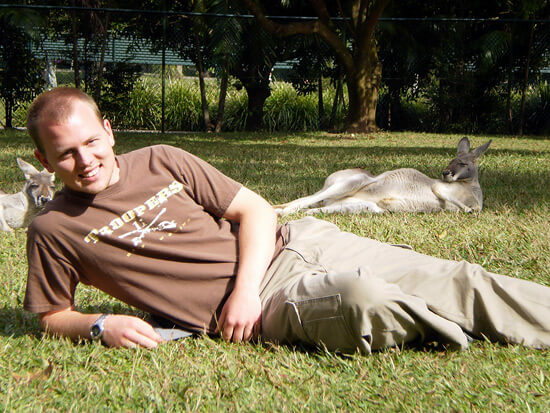 She lives in Brisbane and hosted my girlfriend and me for a 10-day vacation where I met these "Troopers fans" lounging at Steve Irwin's Australian Zoo just north of city.